Share about technology and the Tools (i.e.Windows Azure, SQL Azure, AppFabric, SharePoint 2007, SharePoint 2010, Lotus Notes, Dynamics CRM) that I come across. I am always looking out for new technologies and Tools to share them with everyone :-). 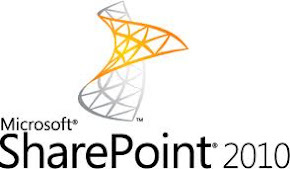 This 'How to' guide will take you through configuring Microsoft Network Load Balancing on two Windows 2008 servers install SharePoint Server on the new Windows servers and then adding additional SharePoint servers to your farm and reassign Moss Server Services across the new SharePoint servers. These instructions were great and incredibly useful. Thanks so much for putting them together! The content published in this blog are completely my working opinion & does not reflect any views of my employers. SharePoint 2013 : My Site Something went wrong ? SharePoint 2010 Blank Page display, 401 Unauthorized Access is denied due to invalid credentials. Newsfeed : we’re still collecting the latest news !! !